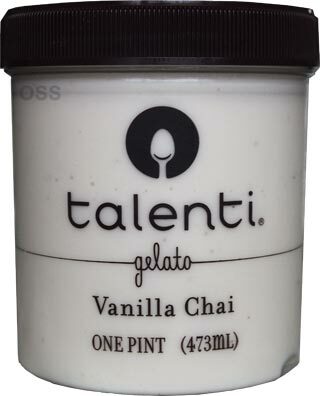 "chai spices and black tea leaves freshly brewed into creamy vanilla gelato"
Since tea is an ingredient, I'm hoping for something that aims to compete with Tea-rrific. I crack the pint open, take a whiff, and wonder "is that ginger I smell?". Checking the ingredients, it is indeed ginger. I don't know the last time when I had something with '"Chai" in the name, but I wasn't expecting ginger. I dig in and it's definitely not what I expected. It's basically pumpkin spice without the pumpkin factor. 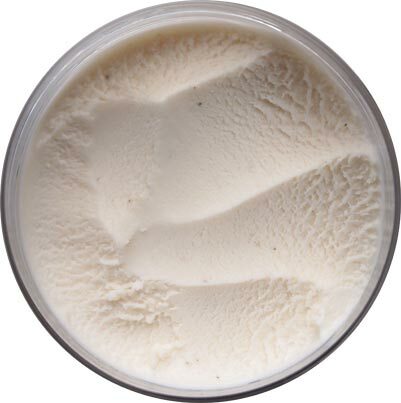 In fact, I'm not getting much of a vanilla factor either. This one is really.... basic. I hate to say it, but it is. I don't know what they were thinking when they made this flavor. Like "let's take PSL and make it more boring". Ok, that's probably a bit rough. It's still that familiar Talenti gelato texture and quality and it's not like the flavor is annoying or foul in anyway. It's just unexpected, and in the most mild of ways. Wow. I don't know what else to say right now. Oh, I did this photo and wound up trying the vanilla chai on some Biscoff cookies (speculoos!). The flavor of the gelato completely disappears against the complexity of the cookie. Like, completely. It was kind of amusing, but in a sad way. On Second Scoop: I like this one less and less every time I try it. I said "at least it's not annoying" earlier, but I take that back. There is just this oddness to it that gets harder to ignore every time I try to sample it. I think I might actually regret this purchase. 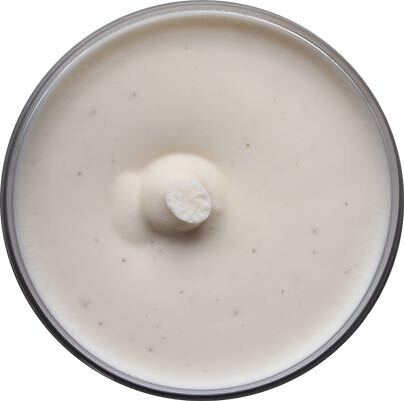 I'll probably just end up covering it with some kind of sauce or cookie or something, but I think I've sampled it like four times now and it's just not a good thing. I'm hoping a few people have tried this so they can back me up, or at least explain what they were going for. btw did you see Yuengling had a couple new flavors? Butterbeer sounds awesome. PSL is Pumpkin Spice Latte. Yup, I have the Yuengling flavors listed on the new product guide because I saw their shelf tag a few weeks ago. I actually bought butterbeer a few days ago (mentioned on instagram) and will be posting the review today actually. I saw this at the grocery store, but your review makes me happy that I didn't waste the money to buy it. It's sad because Talenti has good products, I just haven't liked what they've been coming out with recently. 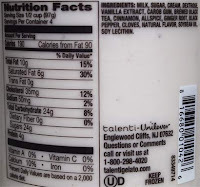 People love saying Ben & Jerry's is on a downhill slide but Talenti isn't what it once was either. It's not some crazy little startup or even a faux start up anymore, it's a national brand with a bottom line to protect. Sorry, that was probably a long winded way to agree with you.